4H Trading by Xard777 is a template for trading by Xard: “ This is my favourite trading solution”). This is a trend momentum trading system. Financial Markets: Commodities, Forex and Indicies. Only trades buy trades when the trend line is blue and place stops at the previous day's low. Only trades buy trades when the trend line is gold and place stops at the previous day's high. 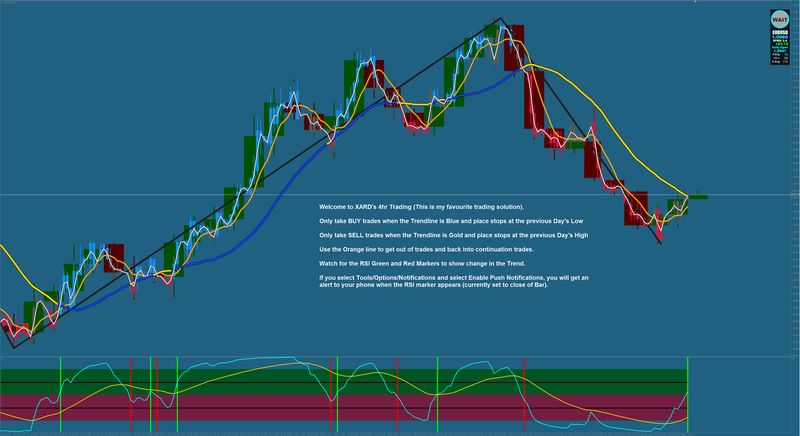 Use the orange line to get out of trades and back into continuation trades. 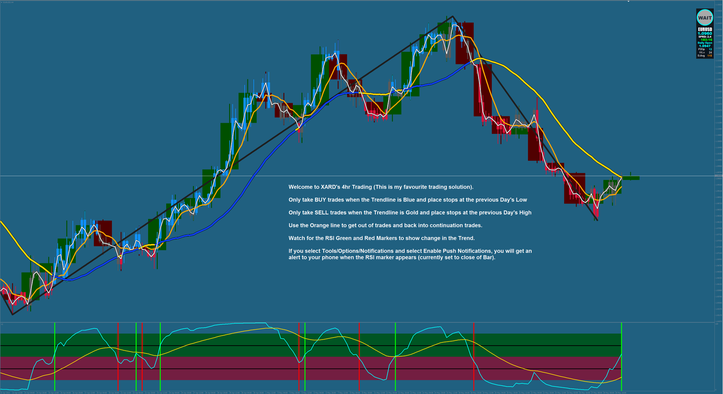 Watch for RSI green and the Markers to show change in the trend. If you select /tool/options/notifications and select Enable Push Notifications, you will get an alert yo your phone when the RSI marker appears ( currently set to close bar)." In the picture 4H Trading by Xard777 in action. 4H Trading by Xard777 in action.